Steven Raphael is a Professor in the Goldman School of Public Policy. 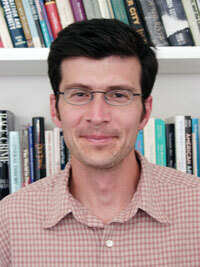 His research focuses on the economics of low-wage labor and housing markets, and the economics of crime. He has written on racial inequality, labor market discrimination, the connections between racial housing segregation and the labor market prospects of African-Americans, the economics of homelessness, housing affordability, the effectiveness of anti-crime policy, the economic determinants of crime, and prisoner reintegration. Raphael's most recent research efforts inclde evaluation of state workforce programs and the links between incarceration and racial labor market inequality.